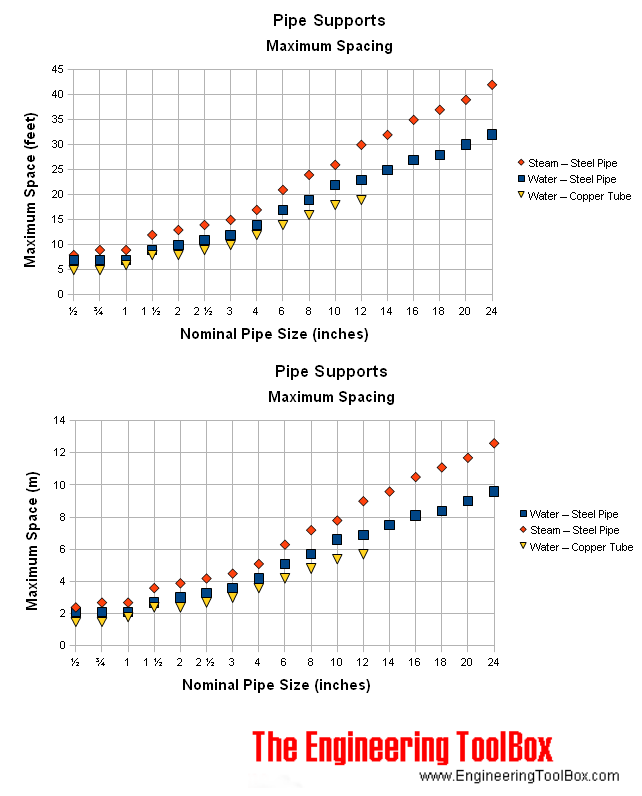 Recommended maximum space between hangers for straight horizontal pipes and tubes are indicated in the table below. The values does not apply where loads are concentrated with flanges, valves, specialties, etc. A common rule of thumb is to support loads of this type with hangers on both sides of the load. Engineering ToolBox, (2003). Hangers - Support Spacing and Rod Size for Horizontal Pipes. [online] Available at: https://www.engineeringtoolbox.com/piping-support-d_362.html [Accessed Day Mo. Year].